In many (majority) of cases, Blender's .abc exporter doesn't properly export smoothing groups. 3, Import the exported file back to blender. UPDATE: It appears that GLTF format has the same problem. I can reproduce this issue on my end too. 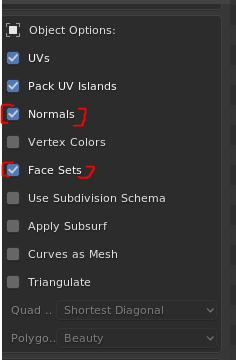 It seems like (the final) face normals are indeed not preserved.